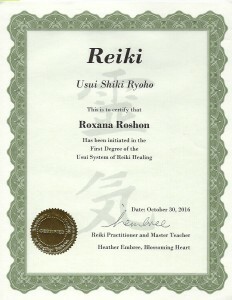 Reiki is an ancient healing form that was brought to Japan by Mikao Usui in the early 1900s. This healing technique was taught to Hawayo Takata and transferred to Hawaii in the late 1930s. After the second World War, this modality reached the Western world. 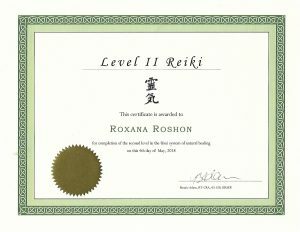 The word Reiki comes from the Japanese words Rei and Ki that mean “Universal Life” and “Energy”. In a Reiki session, the practitioner connects to the universal life energy and allows it to flow into the recipient. The energy can alleviate physical, emotional, mental and spiritual distress. Everyone has the ability to connect with their own healing energy and use it to strengthen themselves and others. When a person’s ki (energy) is free flowing, their body and mind can be in optimal health. 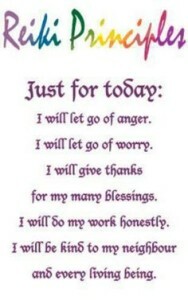 I immediately found that Reiki brought forward a sense of peace and calm.